Tanzania is a developing East African nation noted for its history of stability and astounding natural beauty. A robust tourism industry provides all levels of tourist amenities, although higher-end facilities are concentrated mainly in the cities and selected game parks. The United Republic of Tanzania was formed in 1964 with the union of the mainland country of Tanganyika and the Zanzibar archipelago, which includes the islands of Unguja and Pemba. Unguja is the much larger and populous of the two islands and is commonly referred to as Zanzibar. The main city of Zanzibar is known as Stone Town. Although part of the union government, Zanzibar has its own president, court system, and legislature, and exercises considerable autonomy. The U.S. Embassy is in Tanzania’s largest city, Dar es Salaam, the location of most government offices, all embassies, and the commercial center of the country. 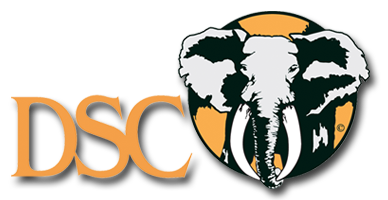 Whether you are a first time African safari hunter, planning a specialized East African species collectors safari or wanting to hunt Africa's most dangerous game such as Cape Buffalo, Elephant, Lion, and Leopard! We invite you to come experience the sights, sounds, scenery, and cultures of Tanzania including the famous Maasai people, Mount Kilimanjaro, and the Ngorongoro crater that help make up today's national geographic Africa.Cape to Cairo Safari offers you some of the best hunting opportunities in Tanzania in four major hunting areas allowing you the opportunity to hunt every species of game available in Tanzania. Tanzania's currency is the Tanzanian shilling (TZS). The food served in Tanzanian safari camps varies, but is often delicious – the equivalent of a reasonable restaurant in Europe or America.In Tanzania's towns and villages, the food is usually simpler. Plain grilled meat, nyama choma, is very popular, and often served with sauce, rice, chips, plantains or ugali (cornmeal or cassava mush). Indian cuisine is also wide spread. The locally brewed beer is good, including Serengeti, Safari, Kilimanjaro and banana beer; imported beers (e.g. Tusker from Kenya) and wine are also excellent. Tanzania is a tropical country and vaccines are sensible (typhoid, polio, tetanus and yellow fever). Malaria is common and occurs all year round; you must take anti-malarial measures, especially in areas below 1800m. Always check the latest recommendations with your doctor. In Tanzania, HIV infection rates are high; AIDS is prevalent here. This isn't usually an issue for visitors, but they should be aware of the situation, and take the same sensible precautions to avoid infection which are wise in most countries. KiSwahili and English are the official languages and spoken by most people living in Tanzania; as well as this, there are many ethnic groups, speaking localised languages and dialects. A passport valid for a minimum of six months beyond the visa issuance and visa are required for travel to Tanzania. U.S. citizens with valid passports may obtain a visa either before arriving in Tanzania or at any port of entry staffed by immigration officials. The U.S. Embassy highly recommends that U.S. citizens obtain their visas before arriving in Tanzania to avoid potentially long delays at entry points. The current fee for a visa is $100 for a 12-month multiple-entry tourist visa.